AQUACAMP77 will include resistance/strengthening exercises aimed at improving tone, strength, mobility & will have you burning calories during and after exercise. The main advantage of exercising in water is that it offers resistance in all directions, compared to land exercises where you work only against gravity. Because of the cushioning effect that water provides, this form of exercise is particularly beneficial to anyone at risk from bodily stress, including the elderly, overweight, or those recovering from soft tissue injury. It’s also particularly good for pregnant women and is an ideal post-natal exercise. 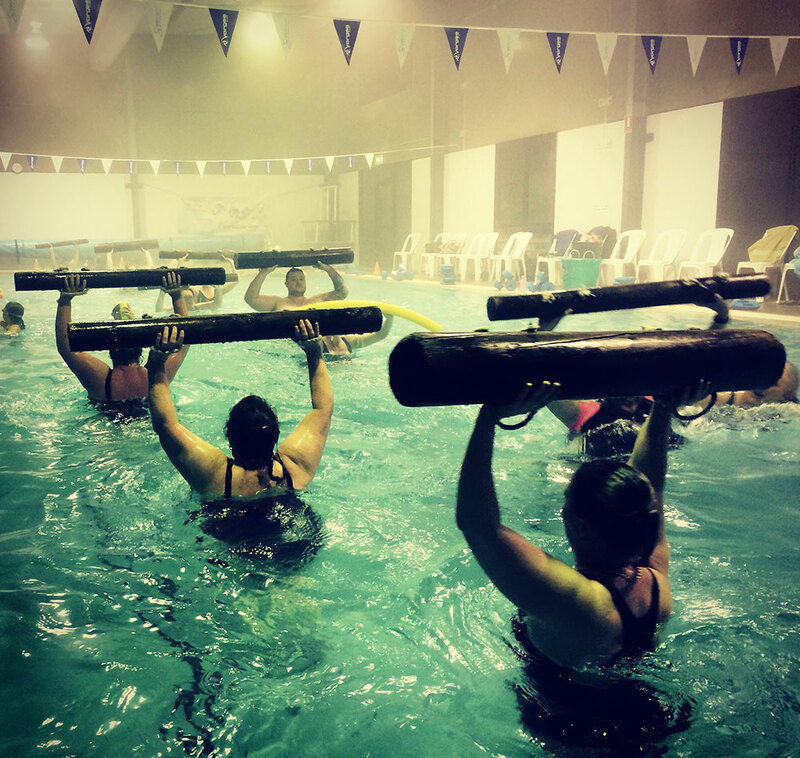 With an indoor pool, Aquacamp77 is a great year-round activity; in the hotter months it’s one of the best ways to get a total body workout without overheating. Privacy of the water: if you hate the idea of jumping around a room full of people in tight gym clothes, exercising under water is a great alternative. Great for all fitness levels. Good for weight loss/fat burning. Renews your energy level as it releases your stress and tension. You never feel fatigued. 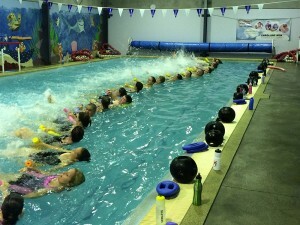 Exercising in water requires you to support only 50% of your body weight, making exercises easier to perform. Wear something suitable for the pool. If you are comfortable in a bikini wear it, if you feel better in shorts and a shirt that is fine too. Keep in mind you may be jumping and getting fairly physical in the pool so wear something that you won’t have a wardrobe malfunction in to get the most out of the session. Bring along a bottle of water a towel and something to wear afterwards. Only pay if you attend. Cancelation Fee $10 after 6pm on the day.